The Committee wants to hear from organisations, businesses and from you – more details on how to take part online below. What is the Welsh Government’s overall strategy for marketing and promoting Wales to the world? What is the Welsh brand? How well are Welsh attractions promoted to tourists? Does the Welsh Government do enough to draw in investors? Does the Welsh Government do a good job of making Wales seem appealing to tourists from the UK and abroad? Is Welsh culture visible enough outside of Wales? What markets or products should be prioritised? A full agenda will be posted on the Committee’s web page when confirmed. The majority of Committees meet weekly to scrutinise the Welsh Government in detail but The Committee for the Scrutiny of the First Minister focuses on broad topics relating to any central strategic vision of the Welsh Government’s programme. How do I take part online? On Twitter – Follow @AssemblyWales on Twitter and reply to any tweets relating to this topic or use the hashtag #AskFirstMin. Also feel free to Direct Message us if you’d like it to be confidential. On Facebook – Like the Assembly’s Facebook Page and leave a comment on a relevant status. If you can’t see a relevant status then leave a comment on the page with the hashtag #AskFirstMin. On YouTube – Why not film yourself asking your question and then send us the link through any of the channels above? On Instagram – If you can express your views in a creative visual way we’d love to see it. Tag our Senedd Instagram account within your picture or just use the hashtag #AskFirstMin. Alternatively you can leave a comment on any one of our Instagram posts again with the hashtag #AskFirstMin. Comments – Leave a comment on this blog post right now! We will collate the responses and hand them over to the Committee’s Chair – David Melding AM. The Chair will then incorporate them into the line of questioning for the First Minister, Carwyn Jones. You can come and watch the meeting in person, online on Senedd.TV or read the transcript. We’ll let you know if your question was answered. The meeting will take place on 16 October, 10.30 in Swansea at the National Waterfront Museum. We look forward to hearing your views! 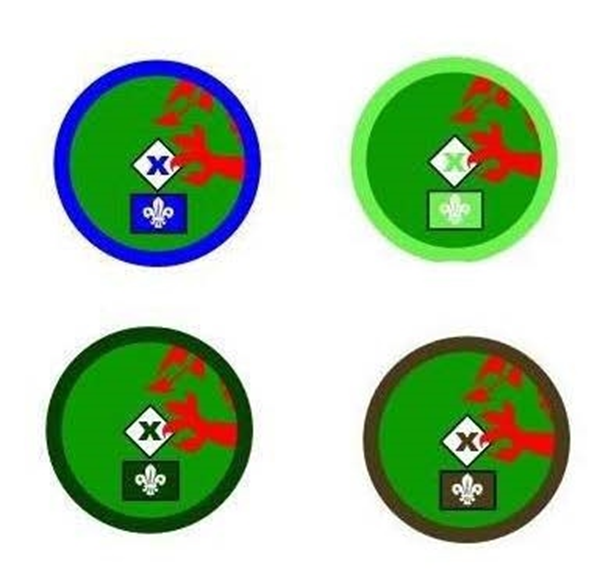 Back in 2012 the National Assembly for Wales’ Outreach team formalised a partnership with Scouts Wales in order to provide them with resources for their Democracy Challenge Badge. The Democracy Challenge is intended to encourage young people to explore the democratic processes of the United Kingdom, Wales and Local Authorities in order that they are better placed to make their own judgements in the future and take an appropriate part in democracy in society. Over the last couple of months the Outreach team have been busy promoting these resources with Scout leaders from all across Wales and have attended numerous events in order to do this. 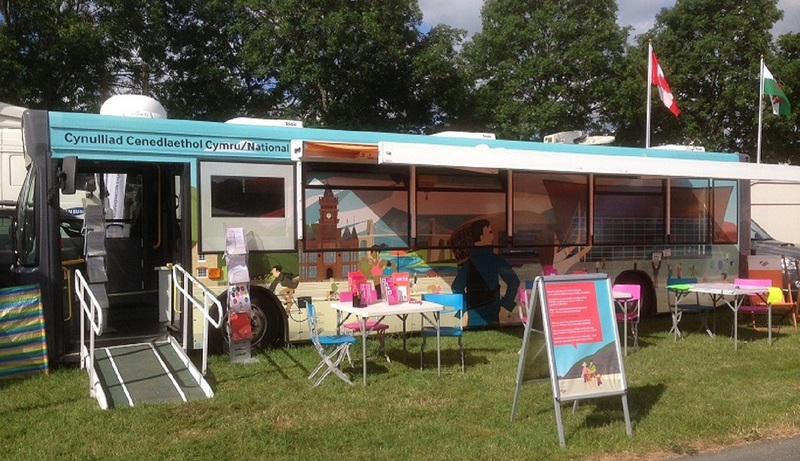 Back in June the National Assembly for Wales’ Outreach bus was present at the Scouts Wales Scout Camp in Builth Wells and the Outreach team spoke to over 1,000 Scouts about the work of the Assembly. Scouts also received the opportunity to have their say on their recycling services by filling in a questionnaire. Following this the Outreach team visited a number of Scout groups across Wales to introduce them to the Democracy Challenge Badge and to help them on their way to completing the requirements. These groups included Wrexham Beaver and Cub Scouts. The group received an introductory workshop which gave them the opportunity to vote in a mini election. Following on from the workshop the group visited the Senedd in Cardiff in order to help them complete one of the requirements of the badge, which asks them to find out about the Senedd and to create a poster to explain to an adult who it is that meets there. 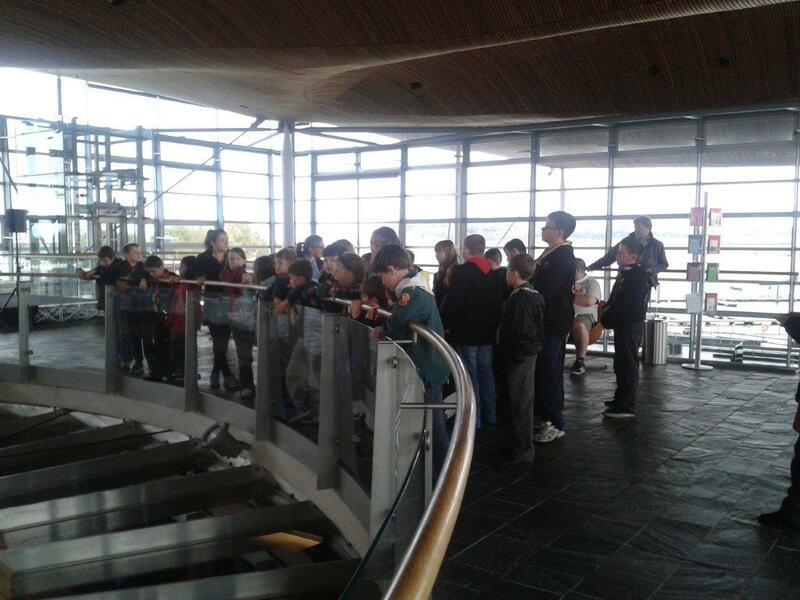 “Wrexham District cubs visited the Senedd in Cardiff to find out about how their Parliament works and to learn about the meaning of the structure and fabrics used in its construction which is all part of Wales heritage. We had a successful visit from Caryl who works for the Outreach team visiting organisations giving presentations on the Welsh Assembly. Beavers and Cubs from 6 to 10 and a half years old found out about the Senedd then took a vote on what they thought was most important to them which included sport and education. On Saturday 18 September 2014 the Outreach Team were present at the Scouts Wales AGM and Conference at Builth Wells High School. 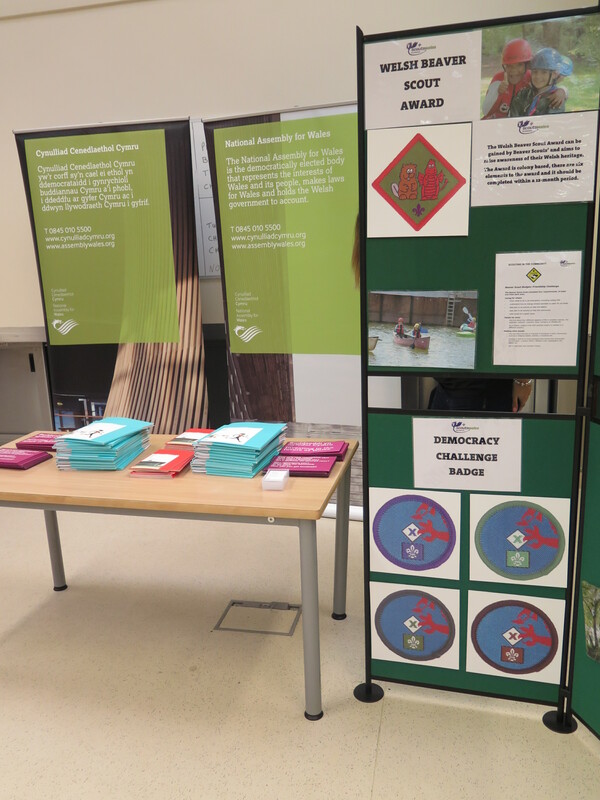 We set up a stand with hard copies of the resources and information publications for leaders to take home with them. The Outreach team then had the opportunity to give a presentation on the partnership between the National Assembly for Wales and Scouts Wales with regards to the Democracy Challenge Badge, how leaders can get hold of resources and to encourage as many leaders as possible to take up the challenge with their groups. 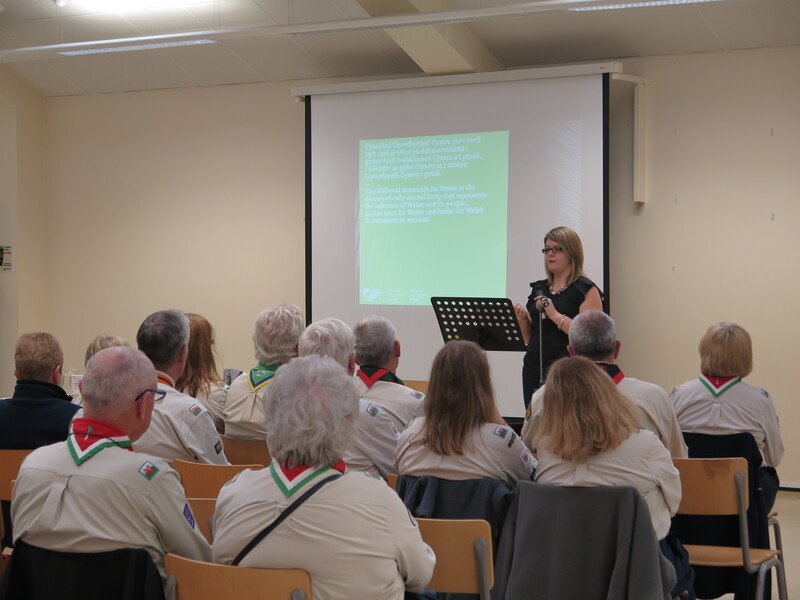 Following the AGM and Conference the Outreach Team spoke to Debbie Tanner who is the Senior Development Officer for Scouts Wales. Below, Debbie tells us what she thinks of the resources created for the Democracy Challenge Badge. For any other updates on the work of the National Assembly for Wales, please follow our twitter page @AssemblyWales.